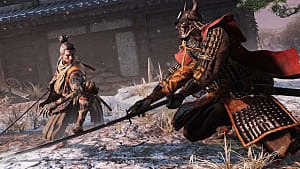 Sekiro: Shadows Die Twice has multiple endings, four to be exact. 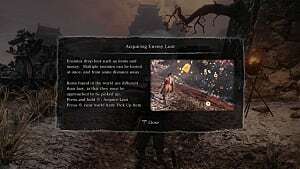 Two of those endings are easy to unlock just by following the main storyline, while the other two require some deeper knowledge of the game itself. If you want to unlock all four endings in Sekiro: Shadows Die Twice simply out of interest or because you want to get the Platinum trophy, then follow our step-by-step guide below for each of them. 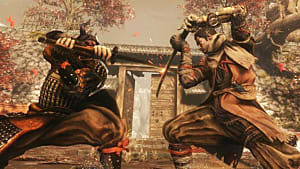 The two simplest endings you can get in Sekiro are Immortal Severance and Shura. These differ only in the choices you make at the end of the game. 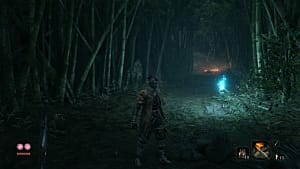 Head to Ashina Castle after defeating the Corrupted Monk. Talk to Great Shinobi — Owl, who will prompt you to make a choice of either serving Kuro or Iron Code. 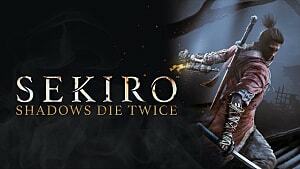 Choose Kuro for Immortal Severance ending. Or choose Iron Code for Shura ending. This alternative ending will unlock the Purification trophy, and requires additional actions to achieve. Repeat the steps above, and in the end, choose to serve Kuro. This will prompt the fight with Owl. Defeat him. Jump over to Isshin's room and eavesdrop on his conversation with Emma. Go to the top of the castle and rest at Sculptor's Idol. Head over to Kuro's room and eavesdrop on him. Return to Emma and talk to her. 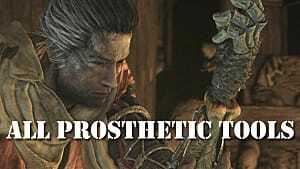 During the conversation, choose to agree with her that Kuro cannot be allowed to die. Rest at the idol again and talk to Emma once more. Travel to Ashina Castle's Old Grave. Rest at the grave idol and go left. Find Emma standing at the grave and talk to her. Travel to Dilapidated Temple idol. Eavesdrop on Sculptor and Emma. Head inside the room and talk to Emma. Travel to Hirata estate and rest at the idol. Fight Owl in the boss room and defeat him once more. 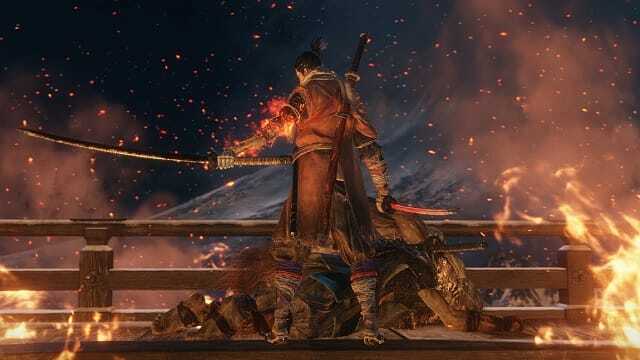 The final ending, which is considered the true ending in Sekiro: Shadows Die Twice, is the hardest ending to get, as it includes the greatest number of steps. 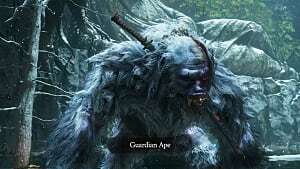 The entire campaign for Dragon's Homecoming can be divided into three parts. Travel to the the Main Hall idol. Talk to the monk praying at the Buddha statue. He will give you Holy Tome: Infested. Trave to Inner Sanctum at Senpou Temple. Talk to Divine Child of Rejuvenation Water. Ask her for rice and eat it. Rest at the idol and ask for more rice. Keep repeating until she gets sick. Collect Persimmons around the temple and give them to her. As a result, she will give more rice to Kuro. Talk to her again and she will disappear into the Hall of Illusions. Follow her into the Hall of Illusions and talk to her once more. Travel to the Main Hall idol in Senpou Temple. Enter the cave behind the idol. Return to Divine Child and give her the Holy Chapter. She will ask you to collect Serpentine Fruits. Repeat the Immortal Severance ending and choose to serve Kuro. Travel to the Bodishattva Valley idol. Get across the swamp to Toxic Memorial Mob. Enter the cave behind the mob and follow the path. 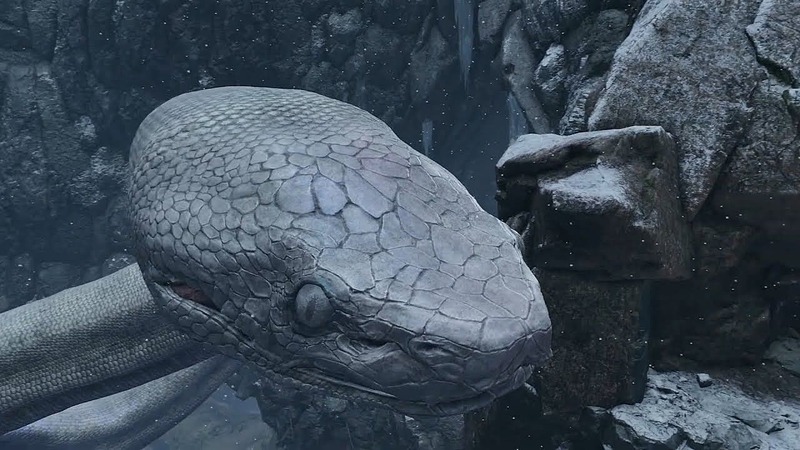 When you see the Snake God, drop down to the left. Use Puppeteer Ninjutsu technique on a monkey at the end of the path in order to distract the serpent. When the snake moves its head, grapple to the house behind it. Collect Dried Serpentine Fruit inside the house. Jump to the right of the exit located near the first idol in the area. There you will see a mechanism for a kite and an enemy nearby. Use the puppeteer on this little guy, and he will fly a kite for you. Follow the road until you can grab the kite, and it will take you to a new area. As you arrive, you will meet another snake. Return to the girl and give her the fruits. She will give you Dragon's Tears. Return to Dilapidated Temple and talk to Emma the last time. 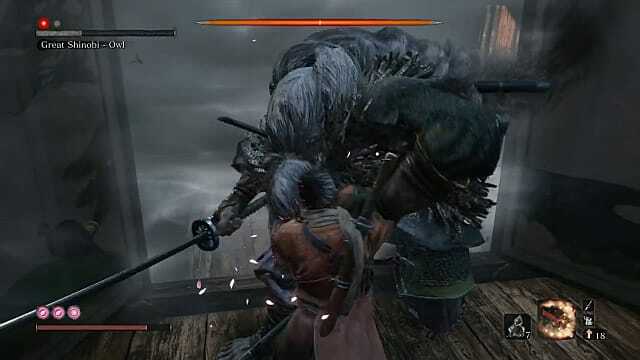 Confront Isshin outside the castle.